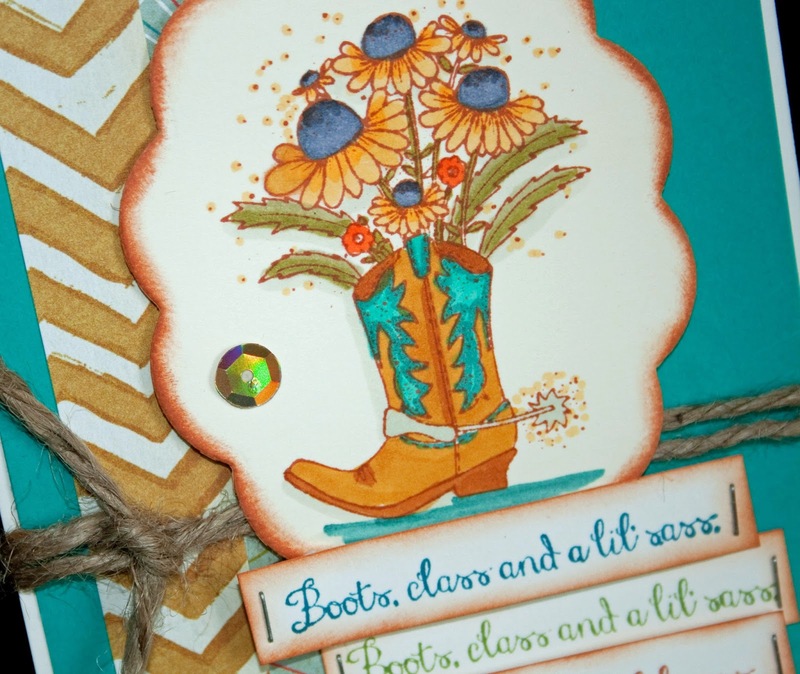 Shared Inspiration by Jill Jacobsen: Boots, Class and a lil Sass! 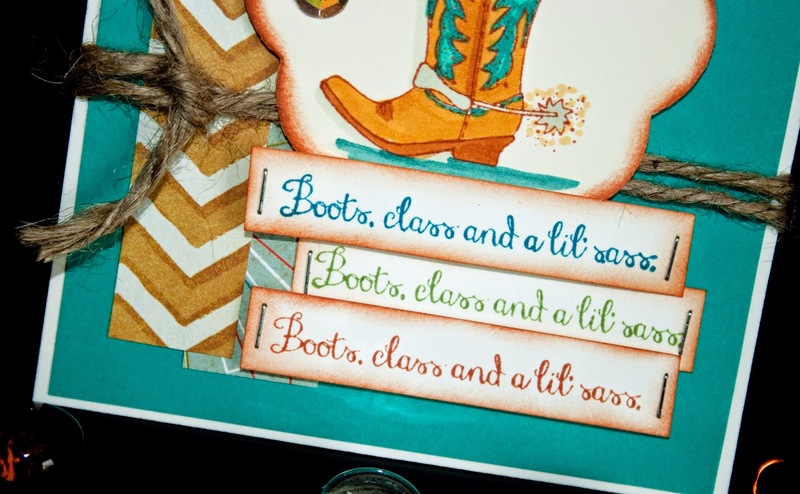 Boots, Class and a lil Sass! Happy Day Stampers!! 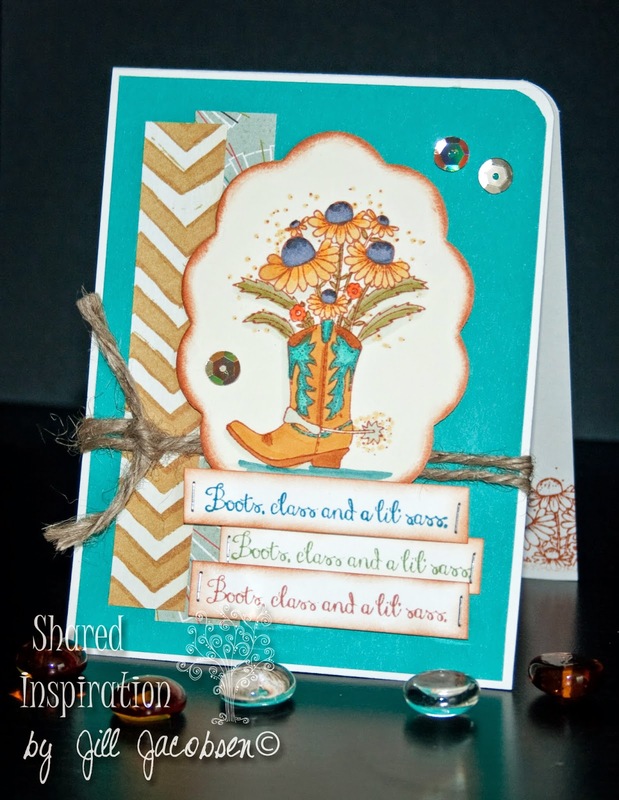 I've been on a roll with my card making, so will have lots to share!! I've been using Unity Stamps and a stack of new miscellaneous designer papers. 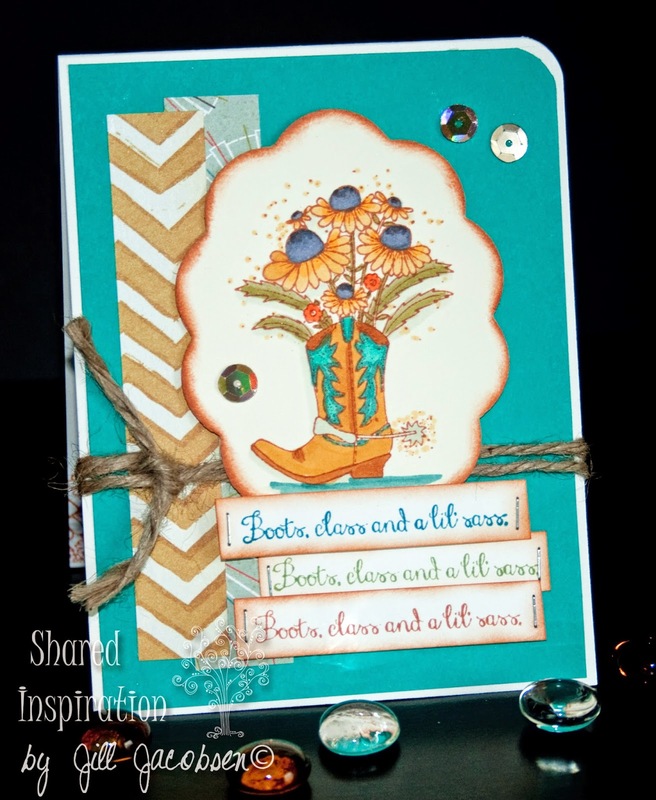 This cute little stamp is sooo cute...love the saying and the boot filled with flowers. It reminded me of my youngest daughter. I stamped with Memento Morocco and colored with Copics. On the inside of the card peeking out you can see I just stamped the top of the stamp across the bottom. Thanks for stopping by and hope you do something creative today!